Let’s face it, healthy eating hasn’t always been one of the focal points of fishing, but healthy eating is gaining popularity among anglers. It’s helping people catch more fish while feeling better on the water. It might also earn you some bonus points with the significant other back home. But even if you have learned how to eat healthy at home, eating healthy while fishing—especially on the road—can be a challenge. Many anglers start the day off with a giant, glazed honey bun. To be clear, giant, glazed honey buns are delicious and full of energy. There are stories of adventurers hiking the entire 2,200 mile Appalachian Trail fueled by the portable treat. But as a fisherman you aren’t hiking the Appalachian Trail. You are doing a lot of standing in one spot, even if that spot is moving, for most of the day. You’re also focusing intently on water conditions, line feel and the positioning of your boat. It’s a situation that requires a great deal of mental energy over a long period of time, which is a bad moment for a sugar-crash. The best way to keep the unhealthy calories out of your diet when you travel is to prepare your food before you leave the house. This helps you stay away from restaurants—especially fast food restaurants—as much as possible. Not only will you eat less unhealthy food, you will save money. Make variety of low fat Sandwiches like turkey and cheese on whole wheat bread, and don’t forget the lettuce and tomatoes (you may have to store the wet ingredients in separate ziplock bags to keep the bread from getting wet). Bring lots of fruit and raw vegetables. Most fruit and vegetables are easy to eat in-between casts if you don’t want to put the rod down. I try to bring plenty of pears, apples, oranges, bananas, celery, baby carrots, cauliflower and broccoli on long trips. Yes, I know Bananas are supposed to bring bad luck while fishing, but I’ve proved that to be bull time and time again. Now, I actually bring them for good luck. Sardines are also great. They stay fresh, and all you have to do is crack open the can and eat them with crackers. As a bonus, after you eat them your hands smell like fish…so you may catch more fish! I’ve even been known to dip my baits in the left over sardine juice as a fish attractant. Speaking of smelly foods, boiled eggs are a good choice. I’ll boil a few and pre-peel them so I don’t have to deal with that later. For breakfast—when waking up in whatever random hotel I’m staying in—if there is no microwave I’ll heat up water in the coffee maker to make instant oatmeal or grits. Make sure you stay away from the oatmeal with a lot of sugar and go for the reduced sugar variety. Once you start the day off with so much sugar you will crave it all day long. Also, you want to drink plenty of water and liquids throughout the day. Remember the more sugary your drinks are the less of the water your body will absorb from them! The last thing you want to be is dehydrated, tired, and getting cramps from dehydration, which can lead to more serious issues like heat stroke. Capt. Thadeus RaganCapt. Thadeus RaganGuest Blogger Capt. Thadeus Ragan is model and fishing guide who has worked with Bass Pro Shops, Mercedes-Benz and Under Armour. 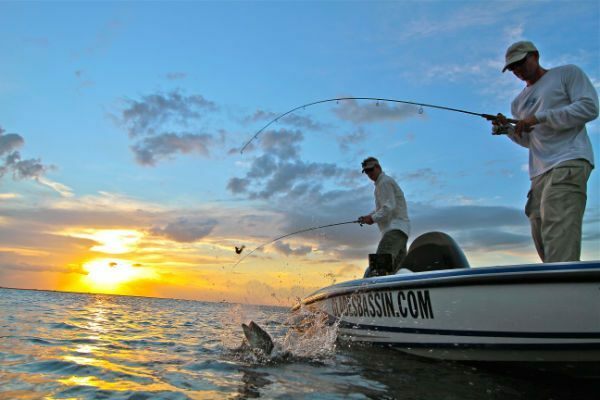 Ragan is a life-long angler and owner of GladesBassin.com, a guide service dedicated to Lake Okeechobee and the Florida Everglades. He also catches many of the lunkers you see featured in the Bass Pro Shops annual catalogues.